FLV is a well-known format among people but not much usable to play the videos on the computer or mobile phone. FLV format is used to play video data over internet on the video streaming sites like dailymotion but not much used on the computer or mobile. The reason is that there is not any media player available to play the FLV files and all popular media player doesn’t support playing these files. To play FLV on mobile, computer or Mac you have to convert FLV to MPG, MP4, AVI etc formats. With this tutorial you can learn about how to convert FLV to MPG with a very simple way.  KeepVid Online Video Converter is a secure and reliable video converter website compatible with windows, Mac, UNIX, Linux and mostly all other operating systems. You can use this website for unlimited conversions. There is no limit to convert the number of files with this converter. It convert the files in a very easy way so simply you need to upload files from your local hard drive, choose output format then click “Convert Now” option. If you want to know how to convert MPG to FLV files, you can check this article out. It'll introduce the online and desktop methods to finish the task in short time. 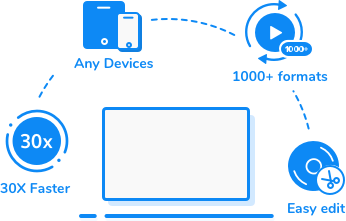 KeepVid Video Converter software is a desktop program and totally All-in-One video converting software with the compatibility of Mac and Windows. It is there with a very easy to use graphical interface that can be understandable by everyone so no one needs to have any programming or tech knowledge to use it. It enables you to convert the videos in the faster speed than any other video converter software available over internet. 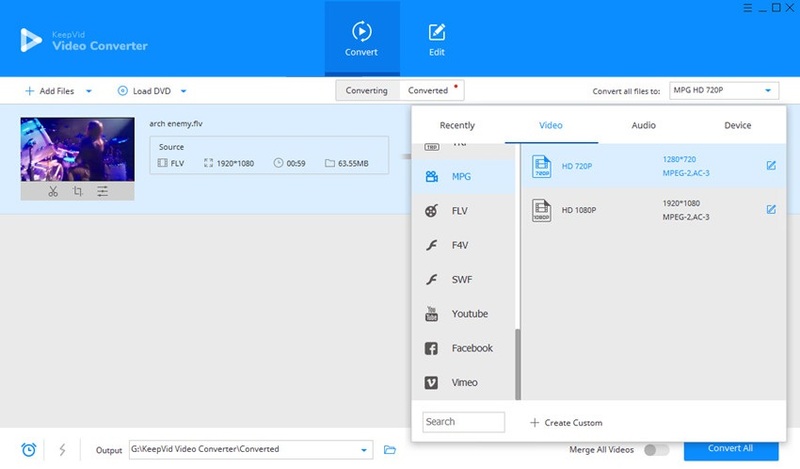 KeepVid Video Converter enables you to convert FLV to MPG and more than 1000 formats. Mobile formats are also supported by the program and you can directly choose the format from the device list if you are confused about the target format. This converter also allows you to convert the files in your own defined formats. Batch converts the files together without any limitation. Preview the videos before and after conversion in the program interface due to the inbuilt media player. Step 1 – Start KeepVid Video Converter and add FLV file from your computer. Step 2 – Click the menu icon at the upper right side and choose MPG as an output. 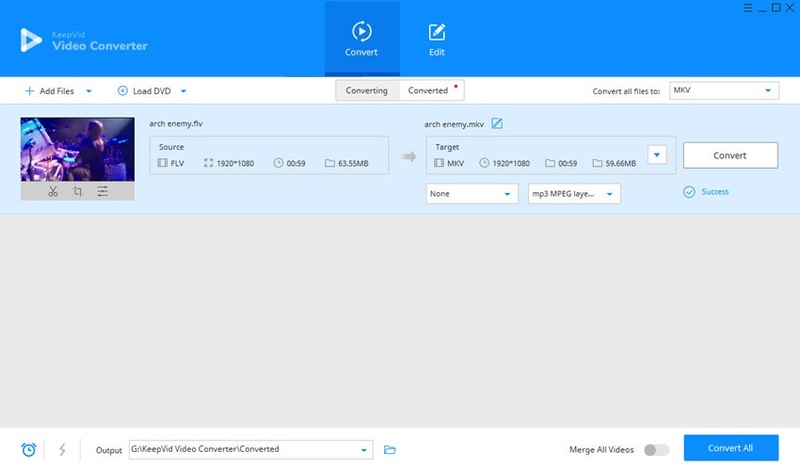 Step 3 – Click Convert button to start converting FLV to MPG. In order to use this converter, please install and launch it on your system. Open the FLV file folder on your desktop then directly drag and drop the FLV files in the converter. Select the format from the available preset profiles. To choose format click the downside button in the front of “Convert All Files To” and choose MPG from the video tab. After selecting the right target format click the “Convert All” button and your file conversion will be initiated. An MPG file is a common video file which use digital video format developed by the MPEG. Usually this format files are used to spread movies on the internet. The benefit of using an MPG file is that if you have any file in this format then there is large number of applications available for free on internet which can play this file format.